Secondary ticket giants Viagogo face huge bill after singer got tough on them. Ed Sheeran has claimed a £1million victory over touts and last night pledged to keep the pressure on. 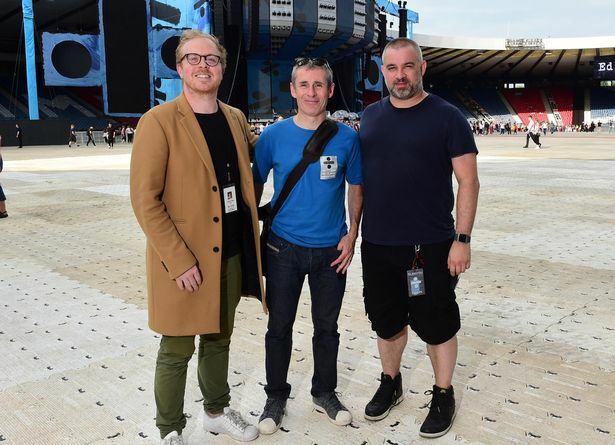 The world’s biggest selling artist paid tribute to 155,000 fans who attended his run of three sold-out Hampden gigs, which finished last night. And he praised the hundreds who were forced to queue up and buy new tickets at face-value prices after they were ripped off by Viagogo, who sold them invalid briefs. Ed, famed for hits such as Shape of You and Perfect, told the Record: “I’ve loved these shows at Hampden. Scottish crowds are always so enthusiastic. “Fans have understood that our operation to tackle touts has been about being tough with them but have always understood our priority has been getting people into the gigs, not kicking anyone out. 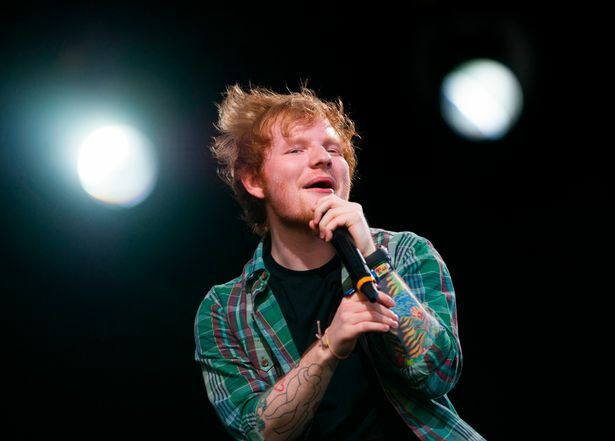 About 20,000 tickets were illegally sold on Viagogo out of 1.2million for the whole UK tour – but without Sheeran slapping a ban on ticket resale, touts could have creamed off more than 10 times as many. Touts who listed the tickets face big financial hits as the cancellation of briefs means Viagogo are legally bound to give refunds – estimated to be well over £1million. The refunds mean some fans should get back sums of over £1000 they handed over before realising the huge cost during the confusing online Viagogo sales experience. Ed’s manager Stuart Camp is confident other big acts can help put an end to touts if they take a lead from the biggest ticket blitz seen in the UK. Stuart told us: “This isn’t the end of our crackdown on touts. It’s the beginning. “Now that we have stated that we won’t tolerate resale of tickets, we won’t just abandon it because half the battle is educating people and trying to establish this approach as the norm. 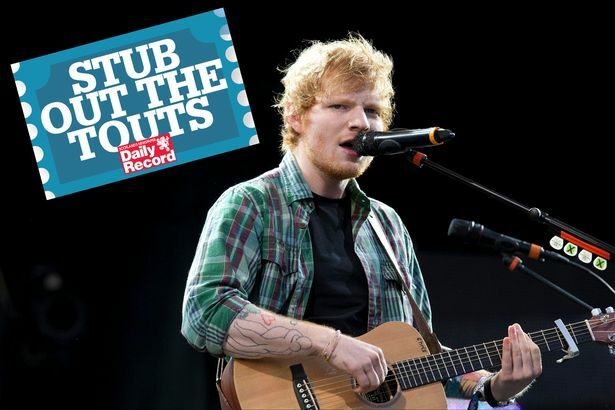 Stuart believes other big-name acts will announce soon that they will be adopting the same terms and conditions as Ed’s tour. Stuart told how the idea to impose strict terms and conditions that ban resale of tickets came after he gave evidence at Parliament’s inquiry into ticket abuse last year. This was the same hearing where Record reporter Mark McGivern told MPs a 10 per cent cap on profit from resales should be made law. Viagogo had been called to appear at Westminster but failed to show up. Stuart said: “I spoke to Ed about this after I appeared at Parliament, where we realised that we had to do something. It would have been much easier for Ed to sell tickets with no resale restrictions. But Stuart said: “We opted for the difficult path. The measures we put in place to combat touts aren’t easy to implement and have cost a lot of money. They took a lot of planning and determination. “It was absolutely crucial from the outset that the ban on secondary sales was enforced and the invalid tickets got cancelled. Stuart appointed 30 people around Hampden to check the validity of tickets. He said: “This operation hasn’t been about keeping people out – it’s about getting people in. “We have put a lot of planning into offering everyone who has been sucked in by Viagogo a face-value ticket. Essential to the success of the crackdown has been the support of promoters Kilimanjaro Live and AEG, the firm dealing with the tour’s Scottish gigs. AEG’s vice president Simon Jones told the Record: “We have been equipping people with what they need to know to get a refund and people who keep faith with the process we have set up will generally be saving money. 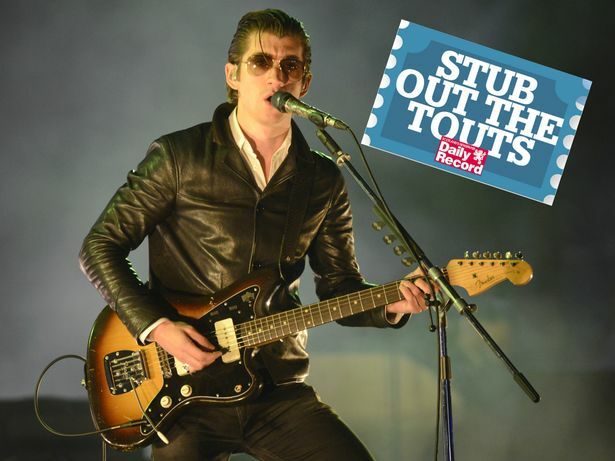 “The touts will be the ones who are losing out and we are talking about a serious amount of money coming out of the pockets of ticket touts. “Part of this initiative is putting up a deterrent and this is hitting touts in the pocket, which is probably the ultimate deterrent for them. “We’d like to think the ones who have been stung this time will think twice about ignoring terms and conditions that insist on ID the next time round. 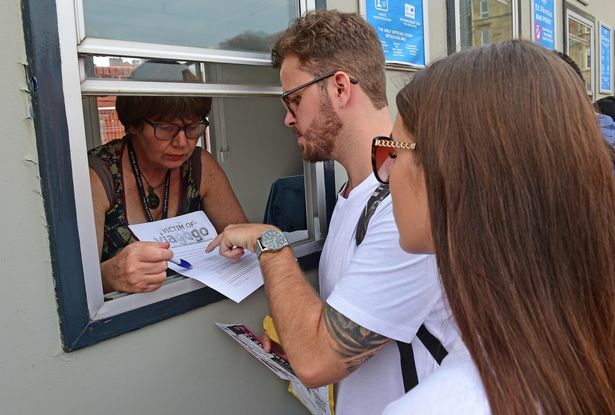 Among fans queueing up at the Victim of Viagogo counter – which cancelled dud tickets and advised on refunds –were Lara Frohlich and Aaron Rivero, both 22, from Gran Canaria. Teacher Lara said: “We came to Glasgow for the first time this weekend for the concert and this wasn’t what we wanted to see happen. I was really upset. I paid 370 euros for the tickets. It would be good to get that back. “When it was explained why the tickets were cancelled, we could see what they are trying to do is good for fans. The couple were able to get into the gig by paying for valid tickets at face value. Last night, Viagogo, as usual, failed to comment on the refunds due to fans. ● Tomorrow’s Record features consumer champ Claire Turnham on how she’s clobbering Viagogo for £1million.